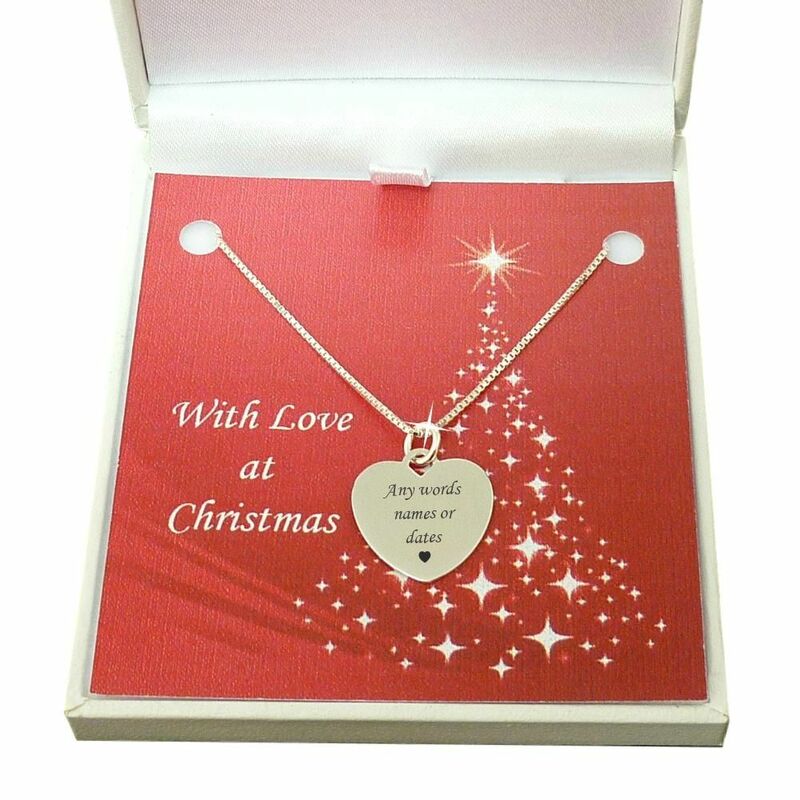 This beautiful piece of remembrance jewellery would make a lovely gift this Christmas to memorialise a lost loved one who deserves to be remembered forever. Ideal for the engraving special names, dates, bible verses or other meaningful words. When bought as a sympathy gift it can be a special way to show someone how much you care about someone they are missing. Up to 25 characters can be engraved on each side of the silver heart pendant. A memorial necklace is a lovely idea for a sympathy gift for someone who is grieving after the loss of a loved one. 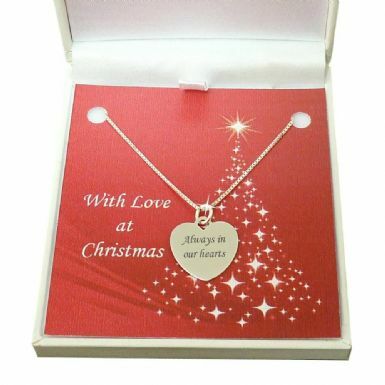 See also our pet memorial gifts and baby memorial gifts for more ideas to find the perfect Christmas memorial present. Memorial gifts can be bought to show your love and concern for someone else or to have as a memory keepsake for yourself. Silver Heart Pendant Size: 16mm x 15mm. Metal Parts: .925 sterling silver. Length: various from 14 inches upwards. Please select from drop down list. Weights: Chain and clasp 1.6g. Heart charm 2g. 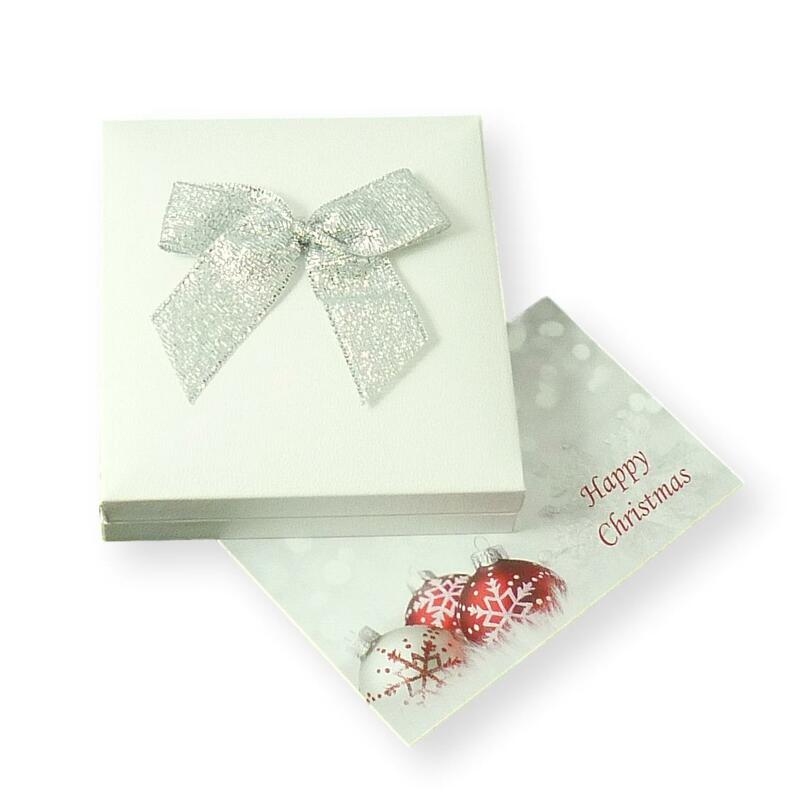 Presented in the gift box shown with the little Christmas gift card included. All parts of this engraved silver heart necklace are made with .925 Sterling silver, including the silver box chain which comes in a range of lengths for women or girls.